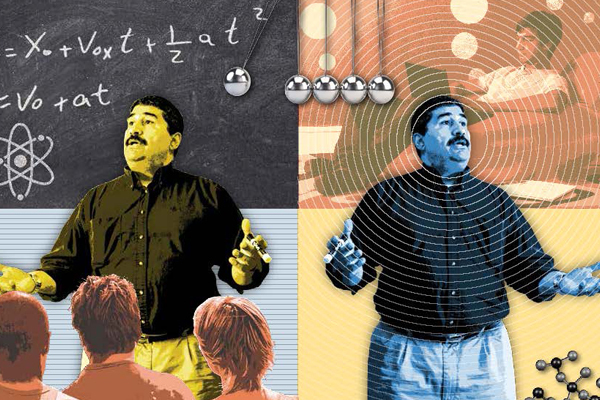 In a flipped classroom, the lectures are online, and class time is used for interactive work. 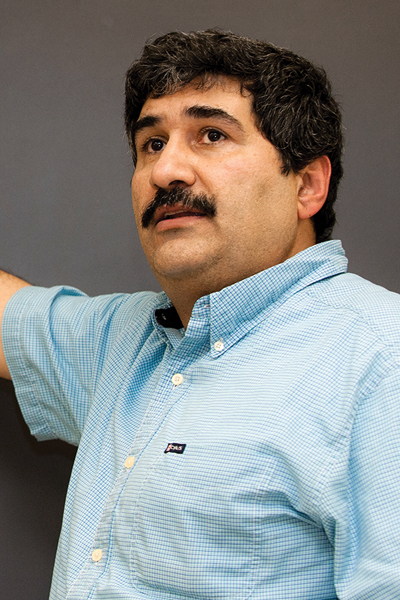 Mason physics professor Amin Jazaeri, PhD ’07, flipped one of his classes last year “by sheer accident.” He received a grant to develop materials for an online course and was concerned about the effectiveness of the lectures he was recording. So he used the same lectures for his face-to-face class and used the in-class time for problem solving. Jazaeri calls his blended learning environment LOGIC, which stands for Lectures Online, Group-work in Class. He has converted two introductory calculus-based physics courses to this format. Students in his flipped PHYS 260 class admitted there was more work outside of class initially because you had to watch the lectures in addition to reading the textbook, but some said the homework went faster because they began it in class with Jazaeri walking them through it to be sure they understood the material.